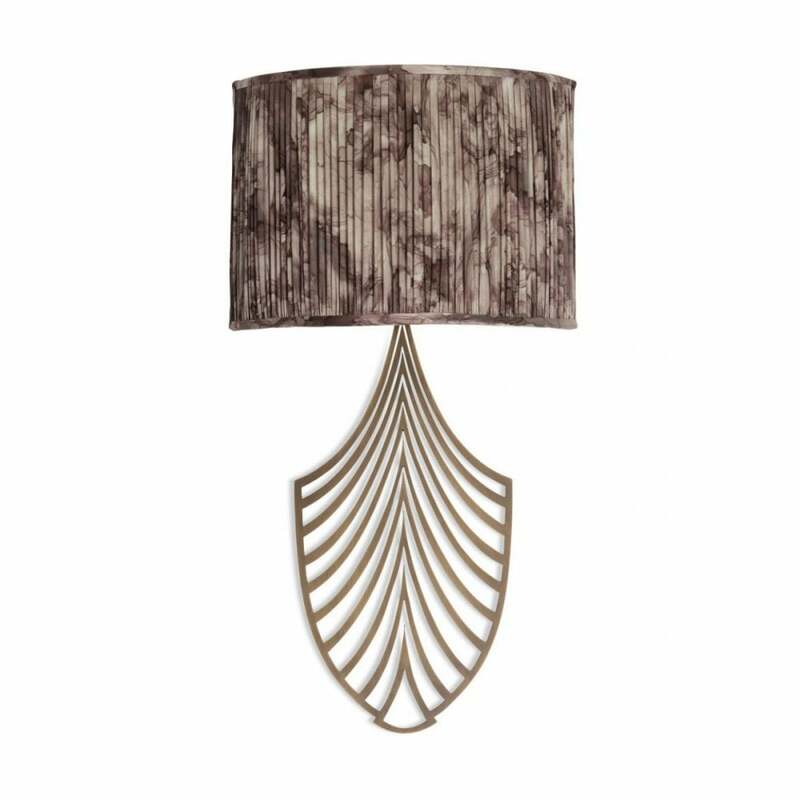 Based on an Art-Deco motif, the Plume Wall Light from Porta Romana has a striking yet delicate elegance. Beautifully simple, the designers at Porta Romana used a tracing of a vintage mould and hand drew the design to create this stunning wall light. Each piece was then laser cut in brilliant brass to create the pretty framework. With a slim profile, the Plume Wall Light is ideal for interiors where space is restricted. Use in a hallway to create a soft glow or above your bedside tables for a touch of Deco glamour. Available in either an Antiqued Brass or Nickel finish. Make an enquiry for more information.